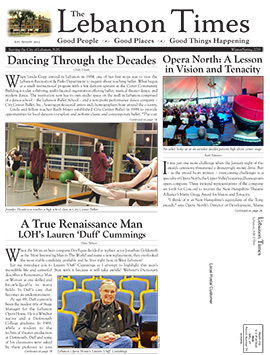 Joe Clifford, Executive Director of the Lebanon Opera House, apparently is an exponent of that theory and from October 10-12 he made that bit of wisdom a reality for the Lebanon community and the Upper Valley. Joe arranged to host a group of musicians from Egypt to tour the region and give performances for area music students and concert-goers. The musicians were part of a band from Cairo, Egypt who were making their American debut. The group was led by Youssra El Hawary, a singer/songwriter who playfully blends the sounds of Cairo’s underground music scene with French chanson, Indie rock and jazz. 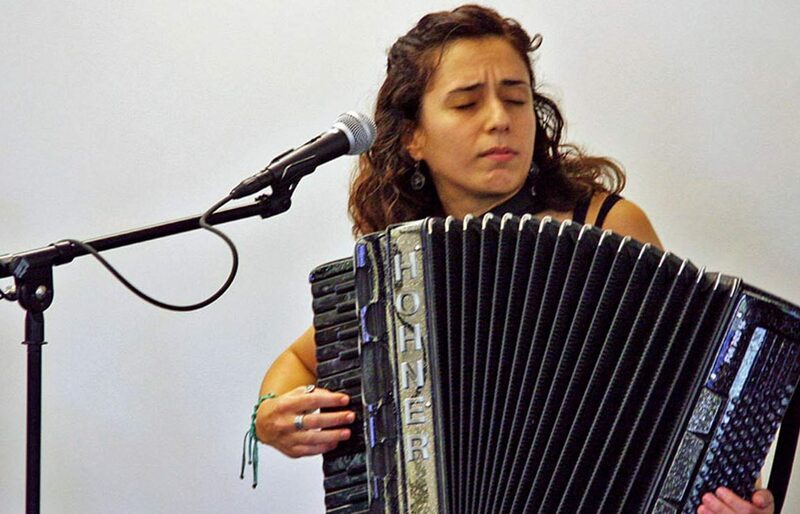 She proved to be a captivating performer who plays the accordion while singing original songs. 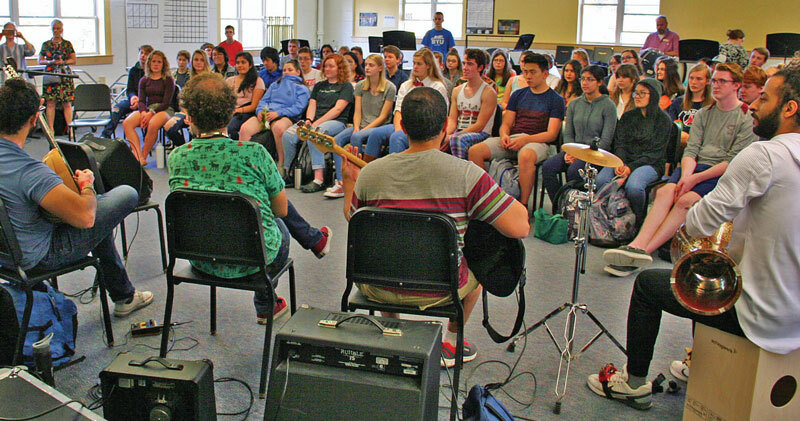 The Upper Valley tour began with a performance at Lebanon High School to treat the music students and others, followed by a another appearance for the Dartmouth College music department at the Hopkins Center for The Arts. 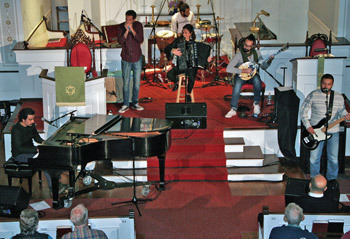 Before departing the area, the band gave a stunning farewell concert at Lebanon’s First Congregational Church. The reception by area music devotees turned into a rewarding experience for all involved, including the band itself. Perhaps the music was a new concept and the lyrics were in Arabic, but the message remained the same. Music is indeed universal. How did all this musical magic come about? Joe explains. The band kicked off the local tour at Lebanon High School by conducting a lecture/demonstration which proved to be a fantastic way for the students, many Lebanon High band members, to be exposed to unfamiliar rhythms and instrumentation. Lauren Haley, the director of bands at Lebanon High School, noted the local reaction by her students. “Youssra El Hawary is a very talented artist and it was wonderful having her band come to our school to perform for our students. I was particularly excited that the band so openly discussed what their music was about. They answered thoughtful questions from our students and together we were able to discuss similarities and differences between our music and cultures.” Lauren said. The musical exchange tour proved to be a true highlight for the band, as well. Youssra El Hawary pointed out that for her and the band, it was an equally rewarding experience. Joe Clifford now looks toward the future and the prospect of presenting more cultural events for Lebanon and the surrounding communities.